TWO DIFFERENT BOOKS ... ONE STORY! This is the exact same story as my 5-Star rated novel BEAR RUNNERS, but with the romance dialed back for those who prefer a story told more along the lines of a Clive Cussler novel. TWO BOOKS ... ONE STORY! This is the exact same story as my 5-Star rated novel BEAR RUNNERS, but with the romance dialed back for those who prefer a story told more along the lines of a Clive Cussler novel. Conservation Officer Rob McNabb teams up with Sam Williams, a government bush pilot in an attempt to bring a murderous polar bear poacher to justice in the midst of a harsh northern winter. 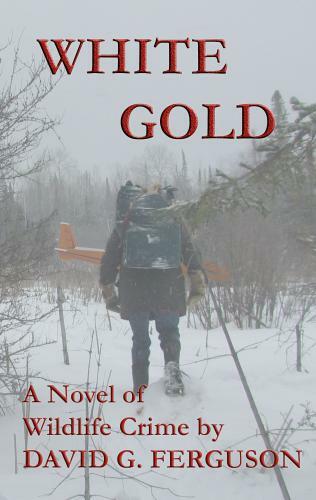 The story is set in the remote Hudson and James Bay Lowland region of northeastern Ontario. Action, suspense and a string of extreme challenges make for slim odds of success for the pair, let alone their survival. And a budding romance hangs in the balance. While the setting is regional, the message about the illegal trade in wildlife is global.